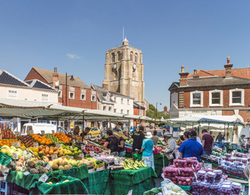 Welcome to the website of the Beccles (Morning) W.I. on the beautiful River Waveney. Founded in 1983, Beccles Morning W.I. has around 50 members. Meetings are normally held on the 1first Wednesday of each .month. ​We meet at Blyburgate Hall, starting at 10am. can be found on our NEWS page.and our 2018 meetings are listed on the Calendar page. All content copyright Beccles W.I.